Project Tamriel • Proposed Khajiiti distribution for the various provinces (including Morrowind). Proposed Khajiiti distribution for the various provinces (including Morrowind). Proposed general Khajiit distribution throughout Tamriel, only doing currently available forms atm, there are of course exceptions to every rule, but this is focused on the general rate at which they appear. Re: Proposed Khajiiti distribution for the various provinces (including Morrowind). 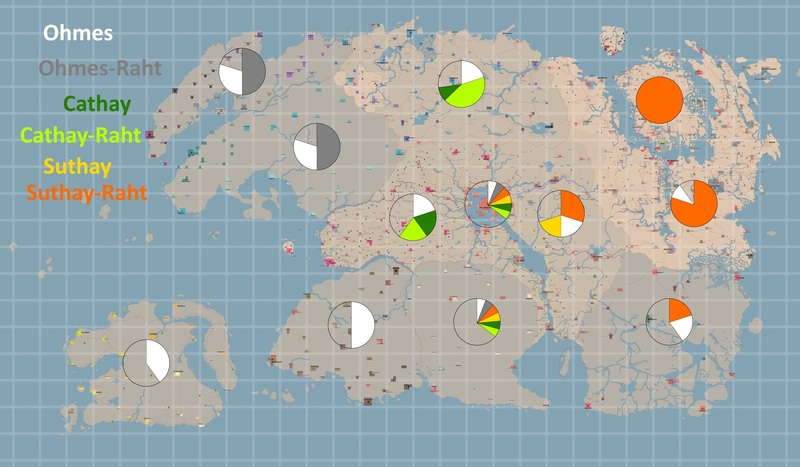 I made a map of pie charts to visualize this better on a map of Tamriel.